On one hand, I can and do drink anything whilst reading: water, a gin and tonic, chocolate milk, ginger beer, Gatorade, coffee, wine, whiskey, pop, or any given cocktail. If I’m already drinking something as I pick up a book, or if I get thirsty whilst reading, any beverage will do. But then again, that is a scandalous falsehood. For tea is the obvious drink. Our kettle’s always on the stove, cabinets of tea and mugs directly above it. The mugs big, solid, and so abundant that there’s always some standing ready no matter how many I’ve left, empty or nearly so, in my bedroom. On one hand: any kind of tea will work. 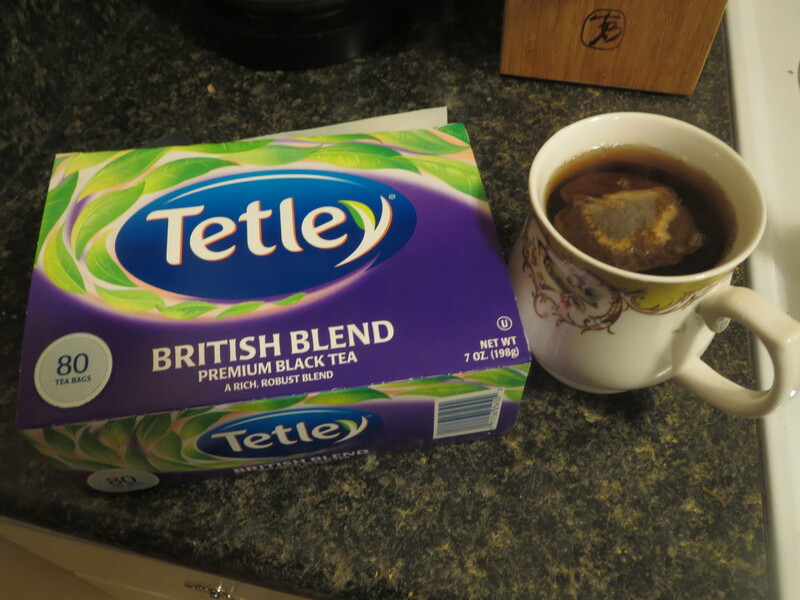 Black, green, herbal; English Breakfast, Earl Grey, or spiced orange; blends like Lady Londonderry, Monk’s Blend, Enchanted Forest, or my Sherlockian teas (especially John Watson and, surprisingly, Anderson). Harney & Sons Royal Wedding tea is delightful. Cuppa Joy is delicious. But then, which do I reach for first, and last, and most often in between? What do I actually make when I need a break from a story, and sip as I sit back down? 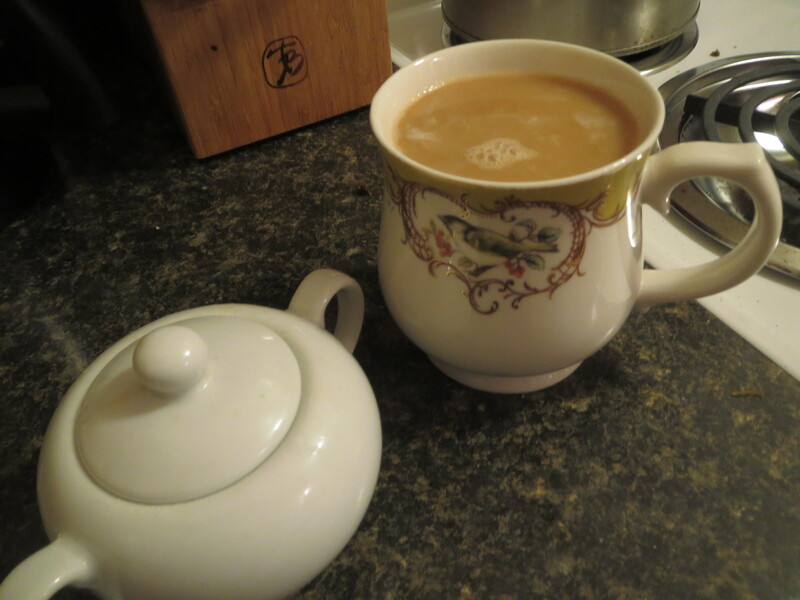 Generally, Tetley with heavy whipping cream and a bit of sugar. You know that Melpomene and Urania would both commend cream tea to you! It is a most august and wondrous tradition. What’s your go-to reading refreshment? This October has brought far chillier weather than I expected. You’d think that having lived in Michigan (unofficial state motto: “where both heatstroke and frostbite can get you in the same week”) for twenty-odd years would have inured me to this sort of thing, but I just wasn’t ready for this. My room is evidently the least insulated in the house, meaning that my roommate and I are first to shiver and last to turn the thermostat down. Despite my warm-blooded nature, I about slid into a torpor yesternight; it was 56º F in our room. 1. Hang out somewhere chillier first. Admittedly, this limits my options to “Outside, without a jacket.” But everyone knows that if it’s literally freezing outside, 56º will feel balmy. Take care if you wear corrective lenses, for yea, they shall grow foggy. 2. Wear more clothes. Okay, too traditional for you? Look, I really am asking you to break free of all your constraints here. 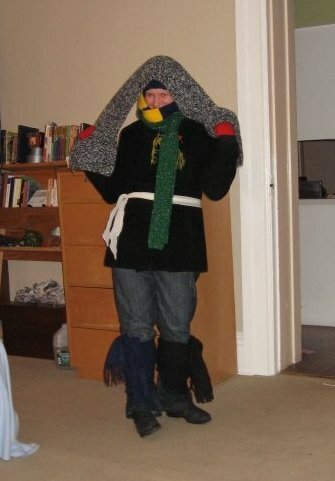 Don’t just check that you’ve got socks, shoes, and a sweater on; wear two pairs of socks (both of them fuzzy)! Put on a hat! Don that long underwear with PRIDE! Combine aprons, bathrobes, and peacoats. Type with gloves, or even mittens, like it’s 2002 and you’re StrongBad. Wear scarves. As many as it takes. 3. Grab some tea. Or coffee. Or cocoa. Hot cider. Whiskey. Brandy. Hot buttered rum. …okay, that one’s kind of obvious. Erm. Kick it up a notch by having a standby cuppa at the ready. Experiment with several hot beverages to see which complements your personal thermoregulation best, at least until your efforts begin to put a strain on your transitional epithelium. 4. Eat spicy food. Grab the Tabasco sauce and the Anaheim, the jalapeno, the habanero, the Serrano peppers. Pump up the Scovilles until you’re more or less putting law enforcement grade pepper spray on your food. The tears pouring down your face will be tears of gratitude for your sudden warmth. 5. In a boldly creative move, combine 3 and 4 by making Spicy Pepper Chai! Sure, maybe you think you prefer bergamot oil to pepper ribbing, but which will keep you warm on a long, cold, lonely night? 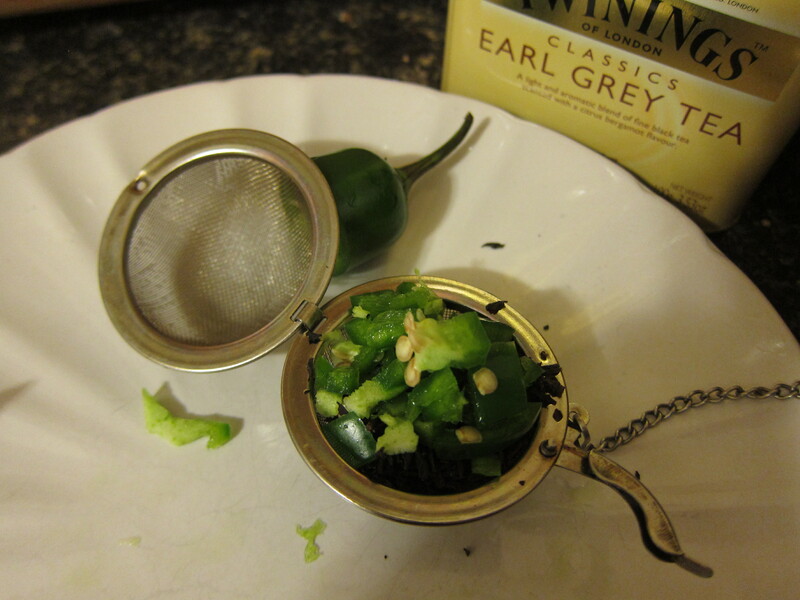 I made some in the name of Science, as well as the name of Frugally Using That Half-Chopped Pepper From Earlier. 6. Find a Tauntaun, slay it, and ensconce yourself within its steaming entrails. Er, wait…no, never mind. 7. Light a number of small, controlled fires. 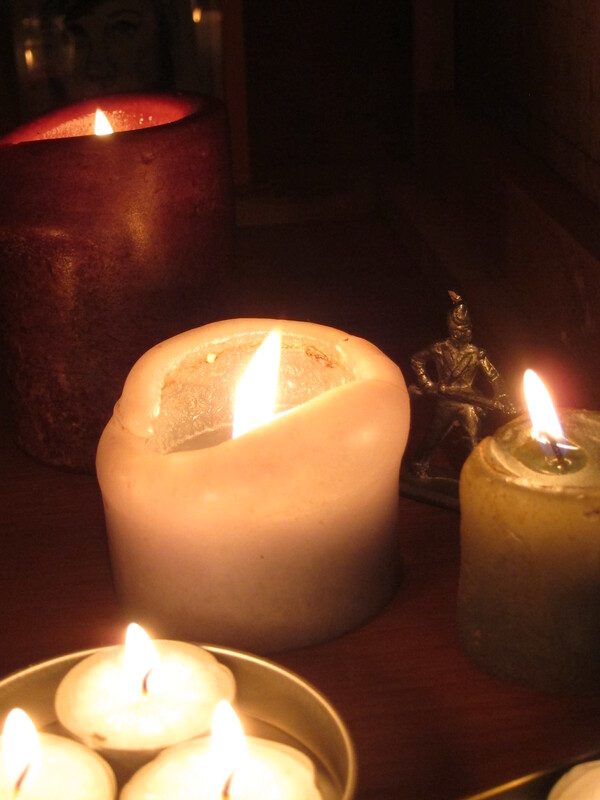 Hopefully your small, controlled fires can be more dramatic than my baker’s dozen of candles. 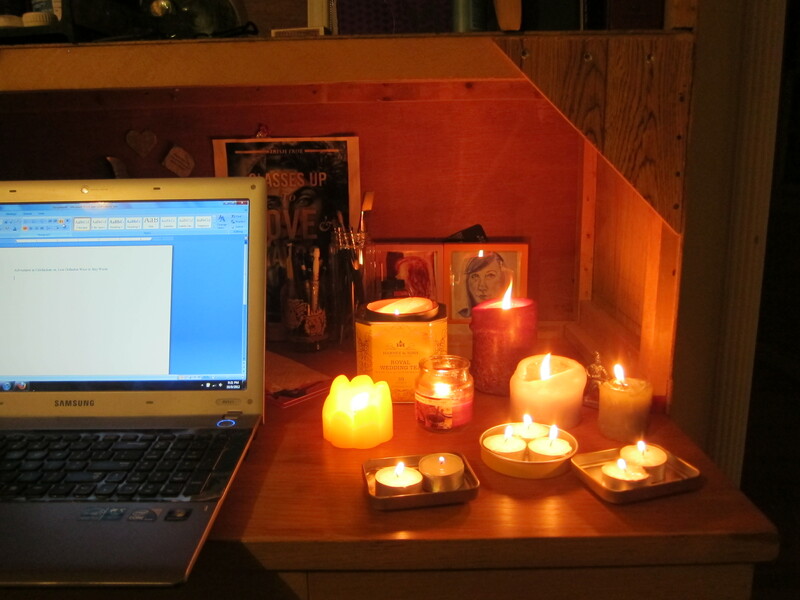 If not, well, the thirteen candles did make the area around my desk feel a good bit warmer. I extinguished a few before they lit the desk itself on fire and made the house a bad bit warmer. 8. Do some Caramelldansen! If you are some unfortunate soul who has not heard of such a thing, learn from the Harry Potter cast, Sherlock and John, or Doctors 9, 10, and 11. If you raise a skeptical eyebrow because you have too much dignity to waggle your hands at your temples while swinging your hips repeatedly, well. I hope your dignity keeps you warm. 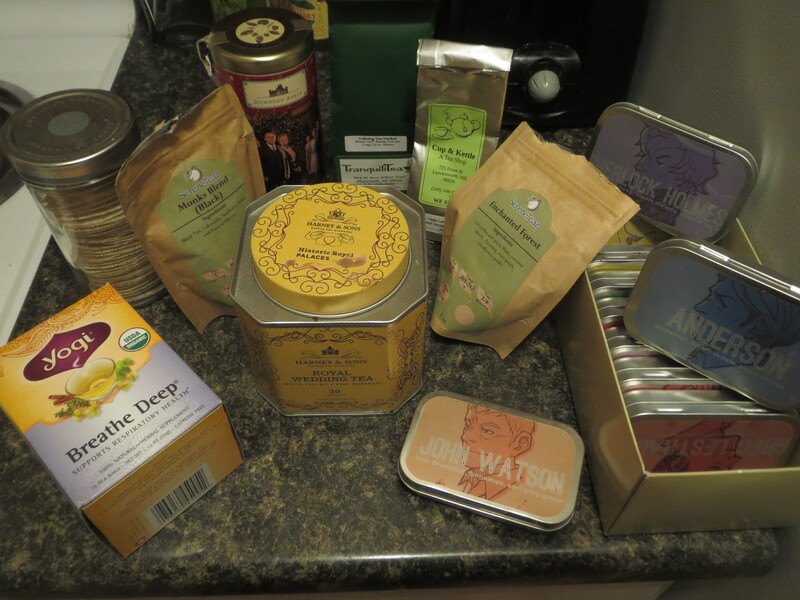 I have been a tea drinker of varying degrees of dedication since I was a twelve-year-old Anglophile. 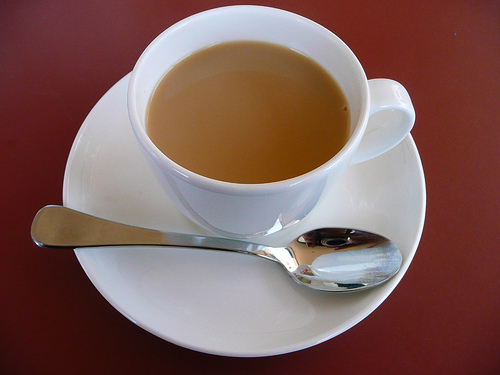 Yet I have stubbornly insisted upon being a self-proclamed “purist” and thus drink my tea straight (despite the fact that most good English people drink their tea with milk, so I have heard). No sugar, no milk, no thanks. They can give tea a weird, watered-down sweet flavor that I don’t like. Then I went to the Dark Side in college, which is to say I discovered coffee and began drinking it religiously every morning. I suppose that’s religious in the same say Sith lords are religious? I like to brew it black as the devil’s heart and strong as sin. And then evangelize it with a bit of half-and-half. Anyhow, it has been lovely. Until recently, when my body has said “enough caffeine is enough” and left me to decide that unless I want to experience full-on Paul Atreides spice trances every time I drink coffee, I had better find some kind of alternative to my favorite morning beverage. I’ve been seeking a decaf that actually tastes like coffee, and not some sadistic coffee-hater’s revenge. I may have found one. But I’m still not sure my body and I have made our peace over the bean. If it really comes down to a life without coffee, I may have no alternative than to throw myself off a cliff, somewhat like this, perhaps. 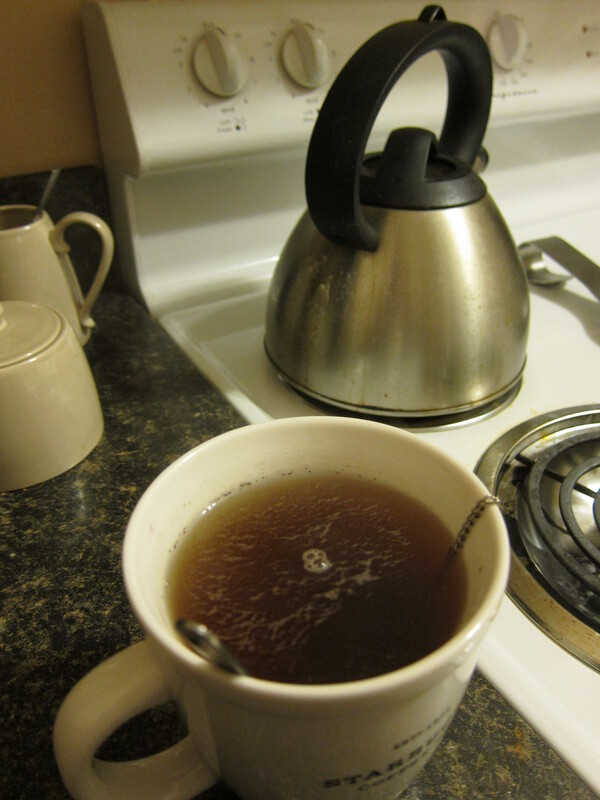 But before I decide it’s really come to that, I thought, I still have tea. Yet one of the things I love about my morning coffee is the way the cream adds a delightful dairy richness to the bitter tang of dark roasted beans. How about Earl Grey with cream in it? O, sweet Valar, why have I never tried this before? Milk tea: where have you been all my life? Also, if you’ve never seen this, now would be a good time: Victorian tea rap!